Why start-ups have begun attracting talent in droves from premier institutes such as the IITs and IIMs. Harmin Shah wants to start his own business some day. That explains why the 22-year-old decided to join real estate start-up Housing.com as a business analyst instead of a top global consulting firm once he graduates from the Indian Institute of Technology (IIT), Bombay. An open work culture at the Mumbai-based venture, a competitive pay package and an opportunity to learn skills that could prove useful when he starts his own business helped him make the decision, he says. "I will get to do my kind of work at Housing.com with innovative ideas and enthusiasts around me," he says. Shah is one of about 90 students at IIT-Bombay who got job offers from start-ups led by Housing.com and online retailer Flipkart during campus placements that began in December. "Students have accepted over 90 per cent of these jobs," says S.K. Mehta, who is in charge of training and placements at the institute. The number of offers made by home-grown ventures this academic year is about 30 per cent more than in the previous year and a far cry from a few years ago when only Silicon Valley start-ups visited IITs to hire computer-science graduates. A similar story is playing out at the remaining IITs, other top engineering colleges as well as business schools such as the Indian Institutes of Management (IIM). Online retailers Yepme.com and Jabong have hired from IIM-Lucknow. Myntra.com, another online retailer, has made 20 to 25 offers at IITs, IIMs, the Indian School of Business (ISB), and the National Institute of Fashion Technology. At the Birla Institute of Technology and Science, Pilani, half of about 400 students appear for job interviews with start-ups. "The number of start-ups participating in campus placements has steadily grown in the past two-three semesters," says Professor M.S. Dasgupta, chief of the placement unit. Besides the well-known ventures, smaller start-ups have also thronged these campuses in search for talent. 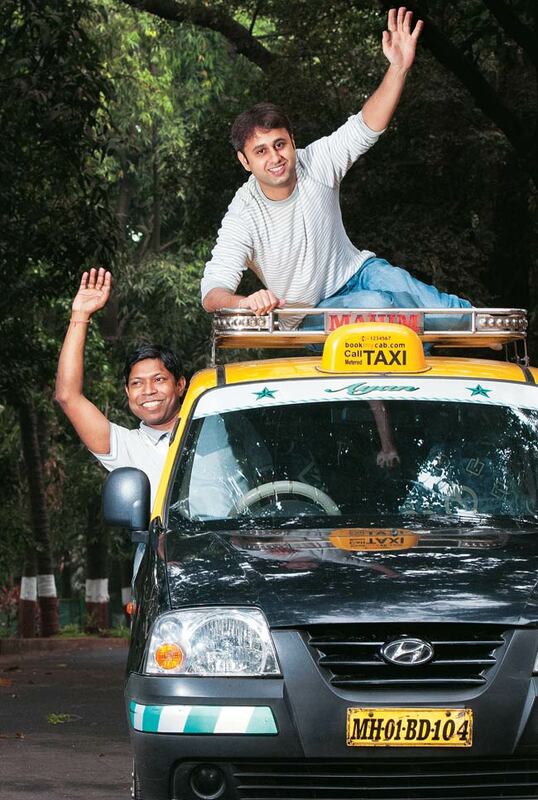 Hyderabad-based ISB saw start-ups including Taxiforsure, Limeroad, Vserv and Zipdial take part in placements. Similarly, Nutanix, Rocketfuel, Fuzzy Logix, InMobi and Khitchdee were among the start-ups that visited IIT-Kanpur. "Start-ups in the e-commerce, cloud computing and analytics segments that have funding and are in a growth phase have grown their campus footprint," says Moorthy K. Uppaluri, India and Sri Lanka CEO of human resource services firm Randstad. "They have become an important chunk of campus recruiters." One of the most aggressive start-ups at campuses is Zomato, which in November raised about Rs 227 crore from Naukri.com parent Info Edge and venture capital firm Sequoia Capital. The online restaurant guide hadn't hired any fresh graduates in 2012 but made 115 offers in 2013. It is also looking to hire from B-schools in the US, France and Singapore for senior leadership roles to expand its global operations. Upasana Nath, Chief Recruitment Officer, says Zomato has made offers to students from the Columbia Business School, Wharton School of the University of Pennsylvania and Thunderbird School of Global Management. "They have professional experience across varied industries and geographies. They would be in key positions to scale all functions at Zomato's international locations," says Nath. Interactions with students, professors, start-up executives and human resource specialists reveal a number of reasons for this new hiring trend. Start-ups offer flexible working environments, opportunities for rapid career growth and roles with greater responsibility to attract talent. They encourage a high sense of teamwork among employees. Some start-ups like Myntra offer stock options while others like Bhartisoft and InMobi provide iPads, smartphones and other gadgets. Their pay packages are comparable with that of established companies (see Money Matters). "Students' perception has seen a major shift over the years," says Professor Pushpendra Priyadarshi, Chairman of Placements at IIM-Lucknow. "They are more willing to explore job options with start-ups." One reason why start-ups are hiring from IITs and IIMs is that many of these companies have been founded by alumni of these institutes. Sample this: Flipkart founders Sachin Bansal and Binny Bansal and Yepme.com co-founder Sandeep Sharma are alumni of IIT-Delhi. 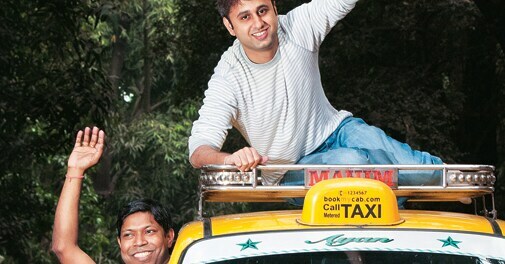 Bookmycab.com CEO Avinash Gupta studied at IIT-Bombay while Sahil Baghla, CEO and Co-founder of Bluegape.com, is from IIT-Kanpur. Baghla says it's better to hire one IIT student rather than three average ones from a lower-rung college. Bluegape.com, a fan merchandising venture that sells customised T-shirts, coffee mugs and posters, has hired four students from IIT-Kanpur and IIT-Delhi. V.K. Menon, Senior Director for Careers, Admissions and Financial Aid at ISB, says more than 350 ISB alumni have turned entrepreneurs over the past 11 years. Sumeet Nayak, placement co-ordinator and a second-year student at XLRI, Jamshedpur, says five students turn entrepreneurs every year and hire their juniors from the campus. Apart from fresh graduates, start-ups are also hiring experienced professionals. "I'm not an Infosys or a Wipro that I would spend money to train new hires," says Surjendu Kuila, Co-founder, Reviews42.com, which provides product reviews and compares prices. The company has hired scientists and post-graduates in technology who previously worked with Yahoo! Labs, Microsoft Research India and IBM Research. Myntra.com is also doing "extensive lateral hiring", says Pooja Gupta, Vice President for Human Resources. Sharma of Yepme.com says the company has hired experienced alumni of IIMs Ahmedabad and Bangalore for senior positions. One of the company's lateral hires is Ankur Gur, who previously worked with global online retailer Amazon's Hyderabad office. The IIM-Ahmedabad graduate says that, while Amazon was a great place to work and offered a high salary and several perks, he wanted a role with greater responsibilities. At Yepme, he is general manager in charge of the supply chain and draws a salary comparable with Amazon, he says. While many start-ups are ramping up hiring, a handful of them are starting internship programmes. Delhi-based Tokkri.com, which lists retail outlets to help shoppers, is one such start-up. Co-founder Arun Tangri says Tokkri.com offered internships last year to 20 students of Delhi Technological University for website and smartphone application development and five students of IIM-Lucknow to conduct market research and help conceptualise products. Amid the euphoria about start-ups hiring from premier institutes, V. Suresh, Business Head at Naukri.com, sounds a note of caution. He says that, while IIT and IIM graduates may improve the brand image of a start-up and even help in attracting angel investors, there are a few pitfalls as well. "Some of these high-profile students get impatient and bored at times. They look forward to faster growth and quick reward. It becomes difficult to retain them," he says. That will be the next challenge for start-ups.